Remember this: “The speed of the group is the speed of the leader.” These simple network marketing tips will help you become that leader and help take your business to an entire different level. People who are already on your team will begin to take more action and get results, you will gain more confidence in YOU to talk to more people about your opportunity and you will find you will also sponsor more reps. All because you chose to step your game up as a leader! 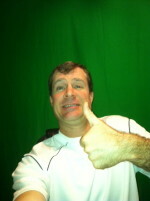 Check out these great network marketing tips… watch the video below! As you can see, becoming a leader and rising to the top of your Network Marketing company is more simple than you think! 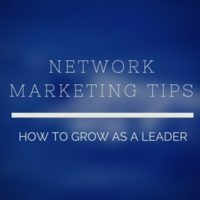 I will be sharing other easy-to-follow network marketing tips on how to grow as a leader in upcoming blog post. I hope you got a ton of value from this video and look forward to seeing you back here real soon! Be sure to get on my Free VIP Email List for all the latest updates, tips and strategies to help you along your journey. If you enjoyed this post on momentum for network marketing tips , share and leave a comment below please.